First, you'll need to open the tracker that contains the standard that you want to customize. To do this, click on Trackers and select a tracker from the list. 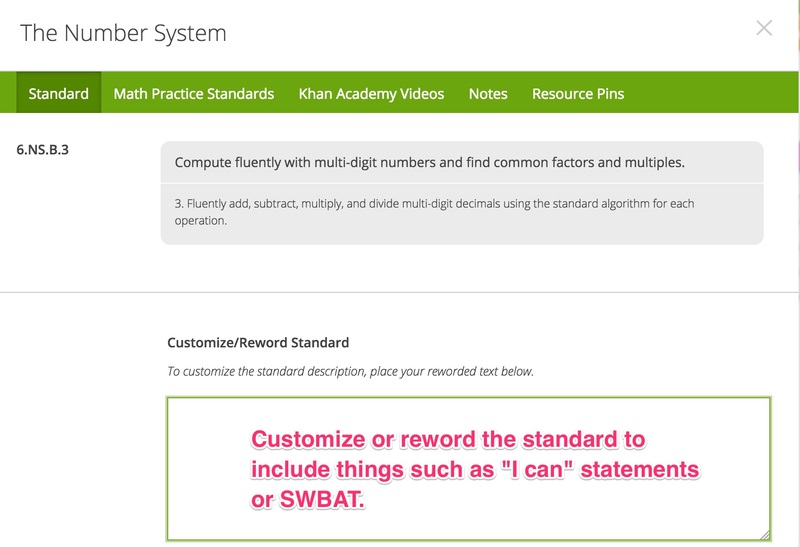 Next, find the standard that you want to reword or customize. Hover over its title, and select View Standard. At the top of the Standards dialog box, you'll see a detailed description of the standard. Scroll down to the Customize/Reword Standard field to enter your reworded text (such as "I can" statements or SWBAT). Click on Save when you're finished.